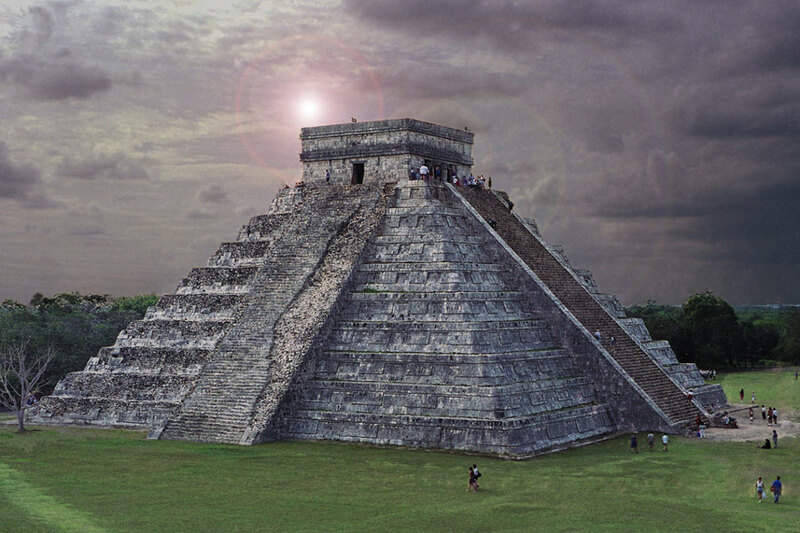 El Castillo, also called the Temple of Kukulkan, is the most popular attraction in the ancient Maya city of Chichen Itza in Mexico. This is one of the most fantastic examples of Maya architecture. 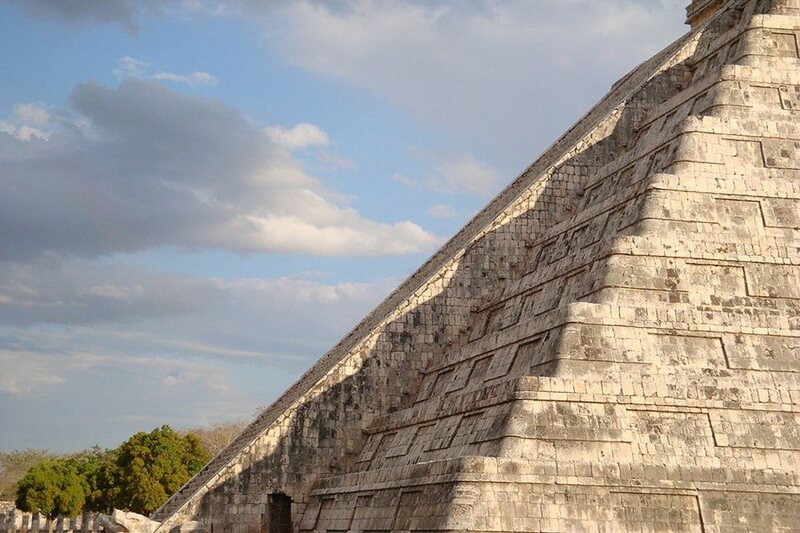 El Castillo is a step pyramid, over 29 meters in height and 55 meters wide at the base. El Castillo which means Castle, is a nickname given to the pyramid because its size and intricate design resemble a castle. 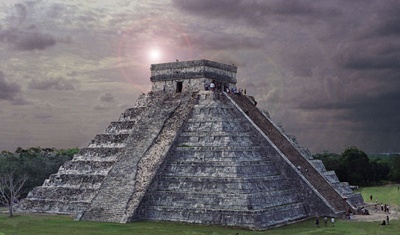 It was built by pre-Columbian Mayans between the 9th and 12th centuries as a temple to the Feathered Serpent god, Kukulkan. Inside the temple is a chamber containing a throne in the shape of a jaguar and spots of red-painted jade lining the walls. Climbing El Castillo, as well as visiting the interior throne room, has been prohibited since 2006. However, this remains one of the most visited Maya structures in Mexico, largely because the greatest spectacle is viewed from the outside. The most popular time of year to visit this site is at Spring or Autumn Equinox. On these two days, the late afternoon sun casts a shadow from the north-west corner of the pyramid in the shape of the Plumed Serpent. As the sun moves this serpent shadow slithers down the temple steps. It is a common belief that this was intentionally designed by the Maya to represent their god, Kukulkan. However, no architectural evidence exists to prove that this phenomenon was deliberately incorporated into the design. For tourists, the idea that perhaps the Temple of Kukulkan ‘coincidentally’ casts a serpent’s shadow, only adds to the mysterious appeal of this site. Spring or Autumn Equinox visitors to El Castillo are advised to arrive early, as the site is typically packed with people during these days. Although less crowded, this well preserved temple is a wonder to behold at any time, thus it remains a ‘must see’ destination for Mexican tourists year-round.